This entry was posted in Sunday Morning Service (SMS) and tagged Dhamma talk, Meditation, SMS, Sunday Service on May 23, 2014 by wayadmin. Ajahn Dhammasiha will be giving talks from 20-22 June at the Dhamma Wisdom Centre. 22 June (Sun), 9.30am, followed by lunch dana at 11am. This entry was posted in Forest Way and tagged Ajahn Dhammasiha, Dhamma talk, SMS, Sunday Service on May 19, 2014 by wayadmin. 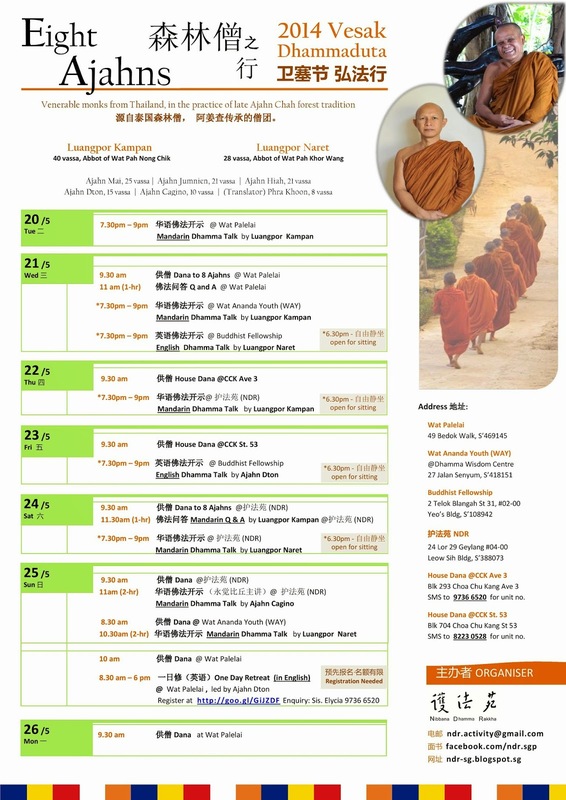 This entry was posted in Forest Way, Sunday Morning Service (SMS) and tagged Dhamma talk, Luang Por, SMS, Sunday Service on May 18, 2014 by wayadmin. 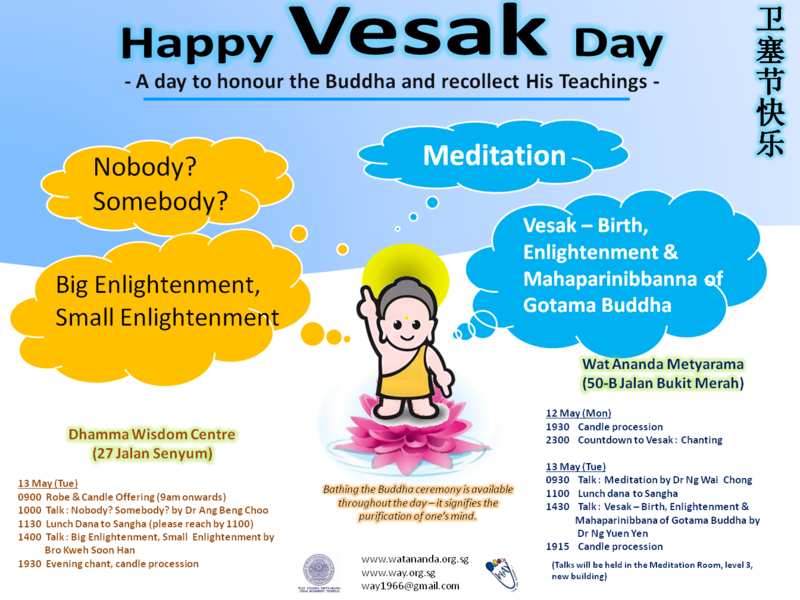 Join us to celebrate Vesak day on 13 May ! On this day, let’s recollect the qualities of the Buddha and His Teachings and practise what he taught by engaging ourselves in wholesome activities. Bathing the Buddha ceremony is available throughout the day. This act reminds one of the importance of purifying one’s mind. 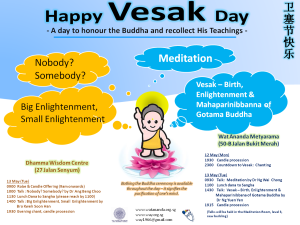 This entry was posted in Sunday Morning Service (SMS) and tagged Dhamma talk, Meditation, Vesak on May 2, 2014 by wayadmin.